Gracie: I'm doing the art courses excluding literature... can I have a study pal? Chinenye: someone can help in opening the whatapp group it will be much better. I can add everyone there if u want. Omotoso olamide: pls wen is UTME mock holding?? Endurance: tnx plsss Has d exam centre bn sent to our emails i dnt wnt 2 waste ma tym n go 2 cafe nw. Chima: i think you should get a book named 4 in 1 its very helpfull. Chima: Thanks and the yoruba's? Endurance: It was a decentralised government bcos their monarchs were nt absolute bt mainly constitutional. Iby146: The yoruba is a semi_centralised government,checks and balances occurs in the yoruba kingdom. Iby146: Pls,i need a study pal on government,literature. Iby146: We cn be study pals on govt or wat d u tink endurance? Iby146: So what is liberal democracy? Pls wot is Unilorin Cut-off mark for com.science??? Iby146: jamb cut off mark for nigerian universities is 180 but departmental cut off mark for courses in different universities varies,browse ur depart cut off mark. Iby146: I need a study pal on govt and lit in english. Pls wotz UNILORIN com Science cut-off mark? Iby146: Reprinting is done two weeks to the exam,which has nt been announced d day it wil commence. dozie656: good day... please is there any de candidate here? Iby146: What do u mean by de candidate pls? Iby146: Direct entry into university? Iby146: From my own point of view about direct entry is done mostly bw stdent in polytechnic applying to a university dat's after completing their required years in d poly.they can nw do direct entry into d uni of d poly witout writin utme(jamb). Chima: Any questions pls askooo on any subject or topic mock students and utme candidates,DE entry candidates exam is approaching ...............pls also relax as far as u read,pray and ask questions u r sure to pass. The Advanced study program is a qualifying examination that guarantees placement of qualified students in 200 level of any desired university after the fulfillment of the requirements. Note that the IJMB/JUPEB program does not require JAMB UTME. Are you tired of writing JAMB multiple times or considering securing university admission without UTME or probably you just finished your secondary school and do not want to sit at home while doing nothing? 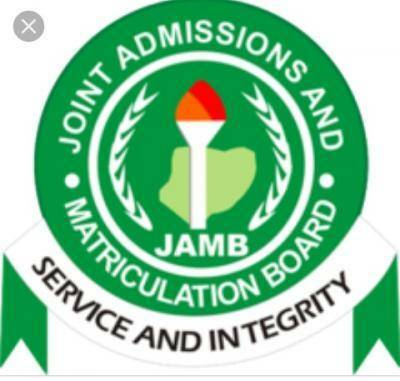 If you answered yes then here comes the solution to the menace, IJMB/JUPEB candidates can secure 200L admission into their preferred university without JAMB via Direct Entry. Noteworthy is that 80% of the students that successfully enroll for the IJMB/JUPEB programme usually secure 200 level admission to desired course and university as the certificate is accepted in 98% universities.